The Library in Nyabiheke now has all the things you’d think a library needs – books, furniture, some color to spark the imagination. “We can make this a space for the kids to explore and create,” said Jacques, our Partnerships Officer. Without many spots in the camp for kids to learn and explore on their own, we wanted to do a little extra with the library. 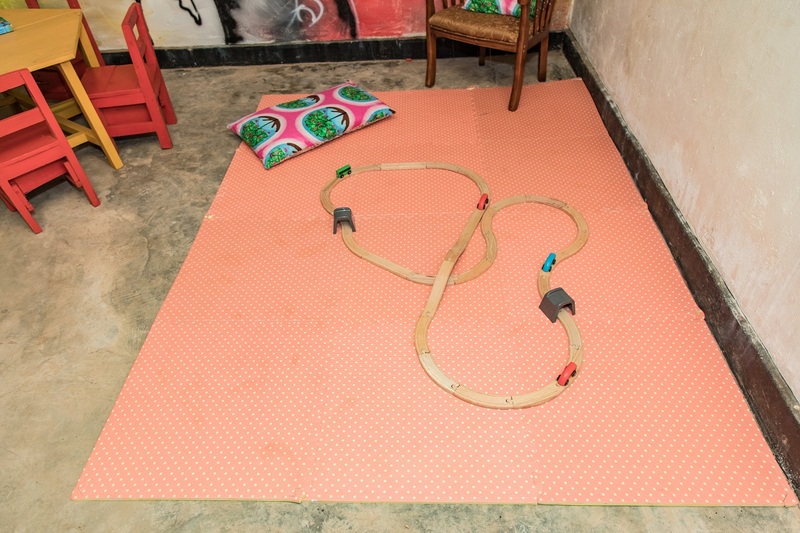 And add some small touches that would allow children to express themselves and interact with each other. That included an abacus or two, a train set, puzzles, toys and games. 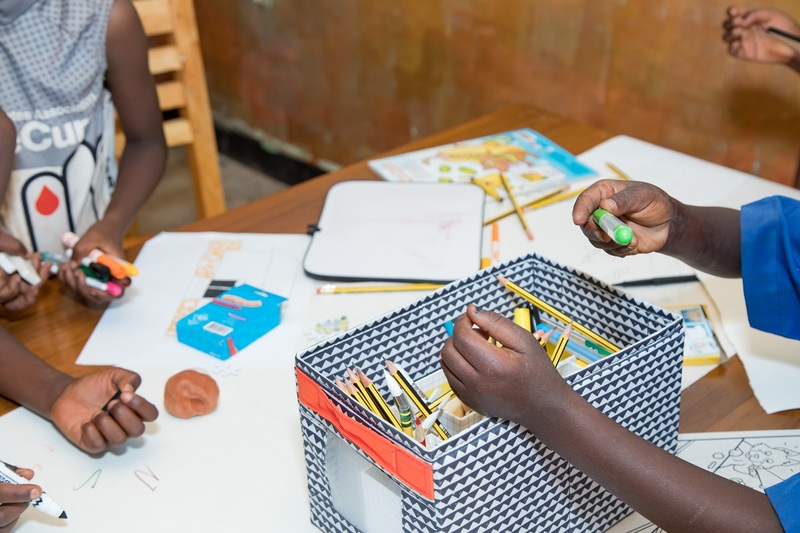 We also bought a range of art materials for the library…Easels, paints and smocks… chalk for the veranda outside…crayons, markers, coloring books and lots and lots of paper. The kids loved the materials and got started creating right away. But teenagers and young adults came in and started creating, too. The papers pulled across the library tables were soon crowded with drawings and doodles. And kids were pulling out pages they colored to take home to show Mom and Dad. This library will now be more than a quiet place to read – it will be a multi-functional space where a variety of activities can happen at once and everyone can explore and create.